A little bit of fun today folks as we travel in the WABAC machine to the early 70's. 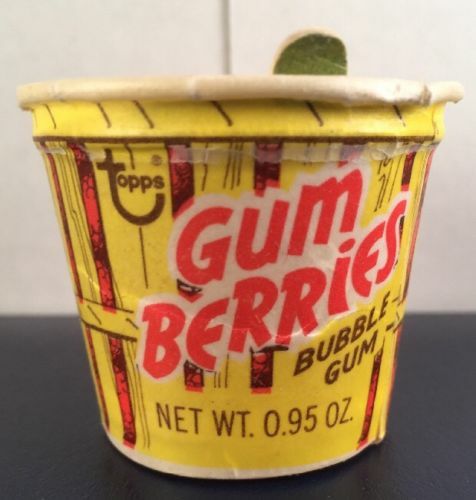 Topps was in the midst of a run of Dixie-lid style sets from 1970-74, where they would issue a small tub of candy or gum with a circular, tabbed lid that had a picture or drawing on the underside. 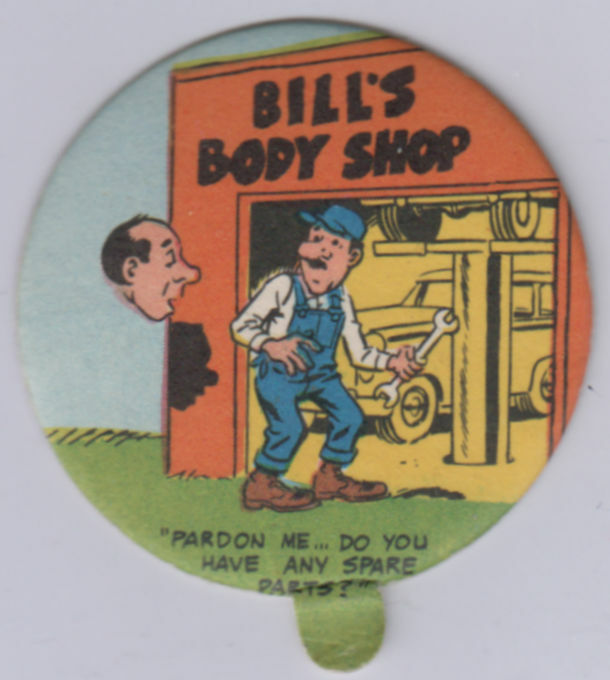 The most well-known examples of the form are the 1970 and '73 Baseball Candy lids, the latter of which was a full blown retail issue as opposed to a test or small regional issue three years prior. The 1970 flavor had team logos present on the uniforms and caps and these are prized by advanced collectors and the like, while the 1973 version had airbrushed away all logos as Topps attempted to skirt some licensing fees with MLB. A non-sports run of these lids, featuring humorous drawings, had no licensing issues of course and first appeared in 1971 as Rocks O'Gum. That 55 lid issue, discussed here, is near to my heart as there is a Woody Gelman card present. Rocks O'Gum appears to have had a load of returns or sold poorly because you could find the full set for a song not too long ago with some sellers on eBay hawking "9X" sets, where they sold 55 nine pocket sheets full of 'em, nine of each lid per sheet. Undeterred, Topps came out the next year with something called Gum Berries, featuring the same artwork. 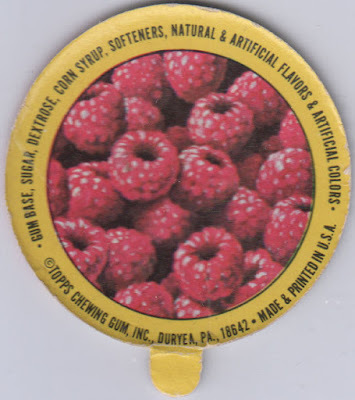 This seems to have been a grape flavored product and it sold well enough to allow a 1974 raspberry flavored product of the same name. I've shown some grape varietals here but this is the first chance I've had to examine the raspberry vintage. 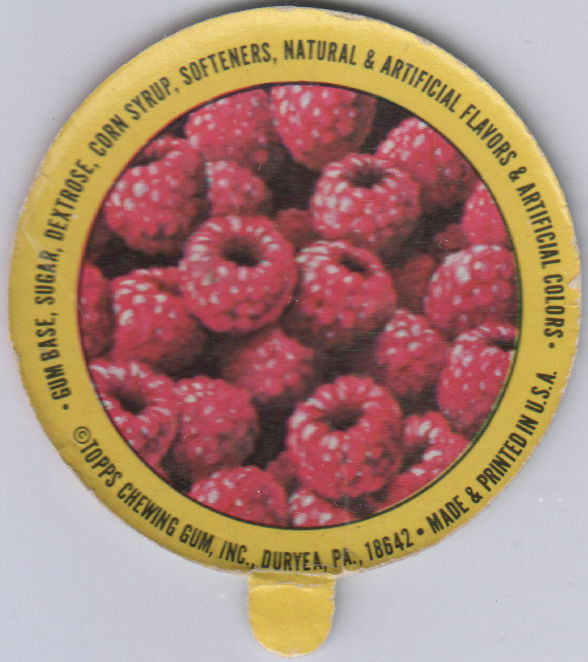 If you clicked that last link, you will see the raspberry gum was featured in a 1974 confectionery product catalog. A winning bid on a recent eBay auction allowed me to bring an example of this fruity concoction home and what follows is a wee bit interesting. 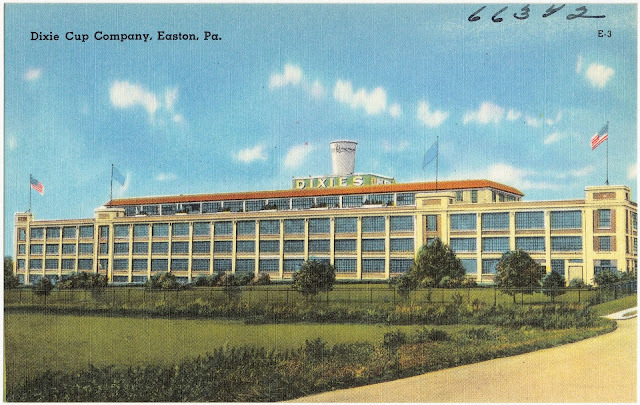 I was quite amused to see that the tub itself came from the American Can Co., makers of Dixie Cups!! It's not clear to me if the lids were printed by Dixie or if Topps had them done somewhere else. I assume the empty tubs were shipped to Duryea sans lids so it's likely the latter. 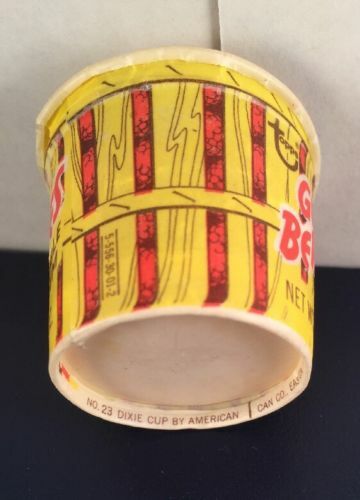 The tub is waxed like a regular Dixie cup but the lid is thicker, unwaxed cardboard. The Topps commodity code is 5-556-30-01-2, indicating a 1972 issue, or at least creation. 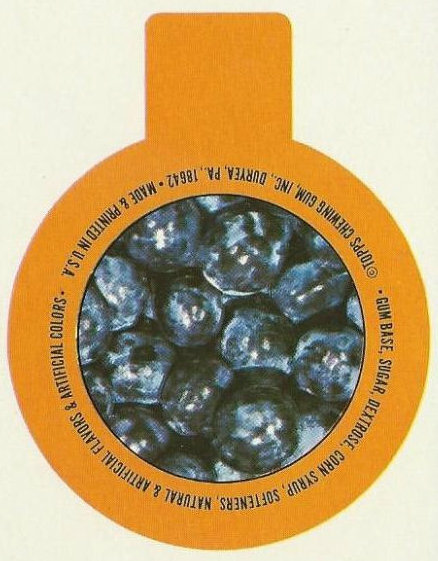 In case you were wondering, the grape version's code is 1-557-37-01-2. Both were developed in 1972 so they were created around the same time. What is not clear to me is if grape was ever retailed as the examples I have seen look to be proofs. That was a smart move, just changing the picture so no additional artwork had to be amended. I'm sure there is more to this story, we'll just have to see what pops up in the future.